The apartments are located in a magnificent villa Amailly with a spacious green area for recreation and two swimming pools. One large pool is designed for adults, the second is smaller and not deep especially for children. 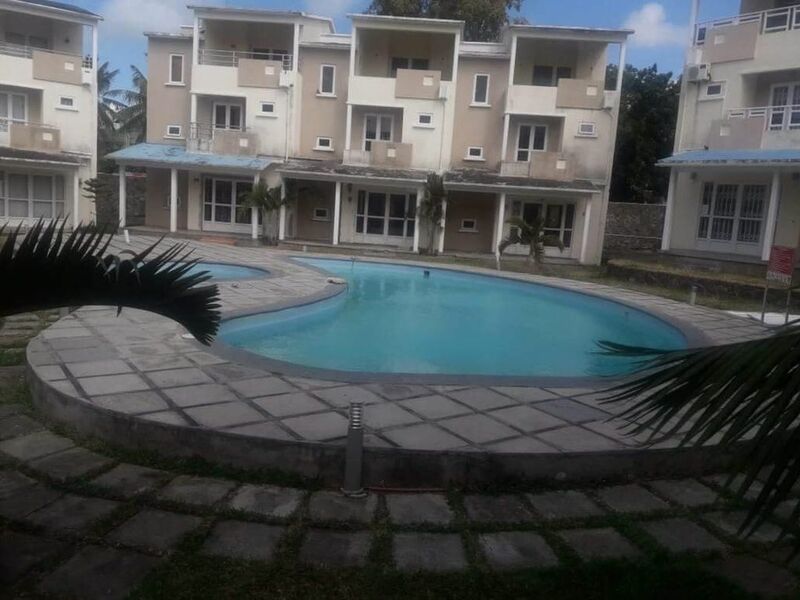 The villa is just a few minutes walk from one of the best beaches in Mauritius Calodine. The villa is a great place for both family and romantic getaways. The apartments include three spacious bedrooms, three bathrooms, a large living room and a fully equipped kitchen. In addition, these apartments have five terraces. On the ground floor there is a large living room with a sofa for comfortable rest. The dining area consists of a table and six chairs where you can comfortably stay with your company. Also on the ground floor there is a comfortable kitchen and a bathroom. Straight from the living room you can go to the terrace and enjoy the fresh air. On the first floor there are two bedrooms. One of them with a double bed, the other with two single beds. Each of the bedrooms has its own terrace, which offers a beautiful view of the courtyard and the pool. On the third floor there is a bedroom with a double bed and the largest terrace overlooking the pool, where you can even arrange a romantic dinner. On each floor there is a bathroom with everything you need. The bathroom on the third floor has a large bath. Sheets and towels are included. Comfortable temperature in the house is maintained by the fans in every room . Water in the pools is always no lower than +26. Pools and grounds are cleaned regularly.Security -24 hours . Video surveillance is conducted . Not far from the villa are supermarkets ,cafes and restaurants . Just 20 minutes drive is the city of Goodland , where there is a large tourist shopping and entertainment center where you can have a great time with your family and friends.